Edmonton d-beat masters return again with 8 songs of noisy punk. I recorded this in the summer, and as always, the band was a blast to work with. Should be out on vinyl early in the new year! 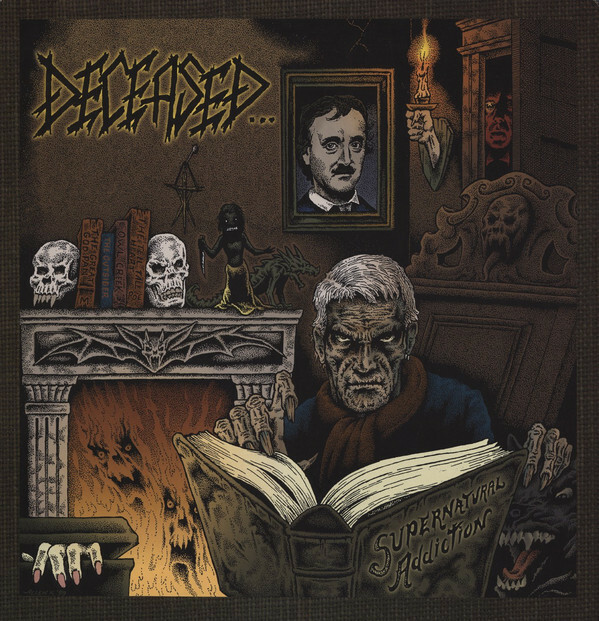 If there’s a single band that sums up what heavy metal and underground music is all about, Deceased surely takes that title. Forming in 1984 before death metal was even a thing, this Virginian band has been pumping out horrifying songs into the metal underground since. The core of their sound is quite obviously based in death/thrash metal, but they were never shy about incorporating heavy metal melodies and punk intensity (and ethos) into their songs. Over the course of their 30+ year existence, they’ve managed to release 7 LPs, a few EPs, several demos, and some choice compilations. I won’t be going into detail of all of these releases, but I’ll mention the cream of the crop in terms of their non album material here. 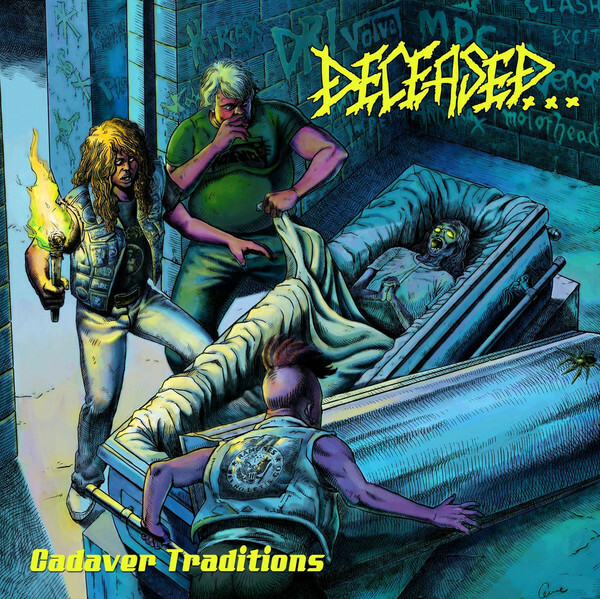 After releasing five demos, Deceased finally got signed to a label, which was a new, unknown label called Relapse Records. 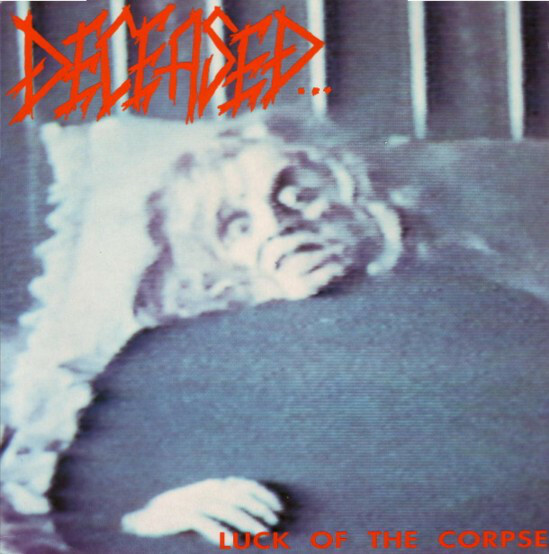 After releasing a 7″ the same year, their debut record “Luck of the Corpse” dropped. Composed mostly of songs from their demo era, frontman King Fowley has not been shy about his dissatisfaction of this record due to its production. That being said, it is a hell of a debut – it is the most “pure” death metal sounding record in their discography. The songs are generally much faster than their demo versions, creeping into grindcore speeds and sounding like Repulsion’s east coast sibling. King also hasn’t developed his signature vocal style yet, and has a much lower death metal style of vocals here. Plenty of these tunes are still in their live set, a testament to how classic this record is. Original guitarist Doug Souther left Deceased immediately after their debut LP, and Mike Smith was brought in. This was a huge turning point for Deceased’s sound, as Mike Smith helped harness the heavy metal lead work that the band would later be known for throughout the rest of their discography. They recorded this EP as a layover between albums. It features one new song (the title track), 3 songs from their demo era, and a Voivod cover. King’s drumming is absolutely bonkers on this recording, and is not to be missed. This EP was later re-released (with their debut album) on a compilation called “Corpses, Souls and other Strangeness” in the early 2000s. Deceased’s sound started to open up with their sophomore effort. Compared to their debut, their songwriting had grown much more complex, with longer songs to flex their instrumental prowess, and includes the addition of synthesizers for extra texture. Odd rhythms inspired by two classic Canadian bands, Rush and Voivod, can be found throughout the record, making their death/thrash sound more unique than ever. 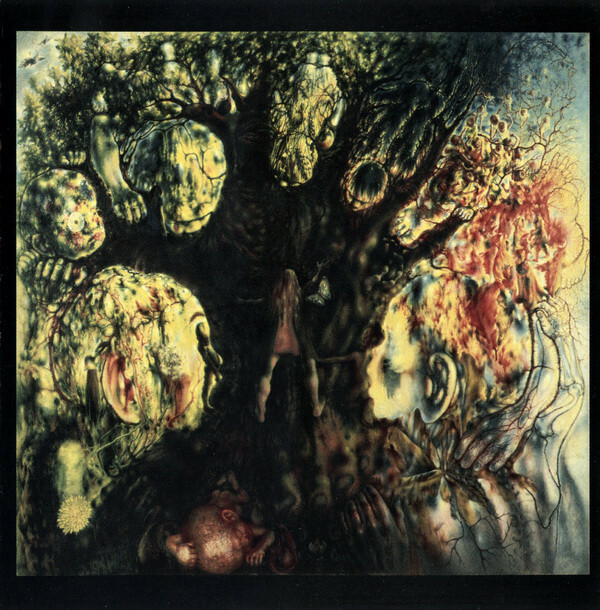 Mike Smith’s influence creeps its way in here with the heavy metal lead playing throughout the record, and it can be heard right from the get go with “Morbid Shape in Black.” The original release of this album sounds pretty amateur as it was self produced, but later re-releases have been remixed/remastered for an improved experience. 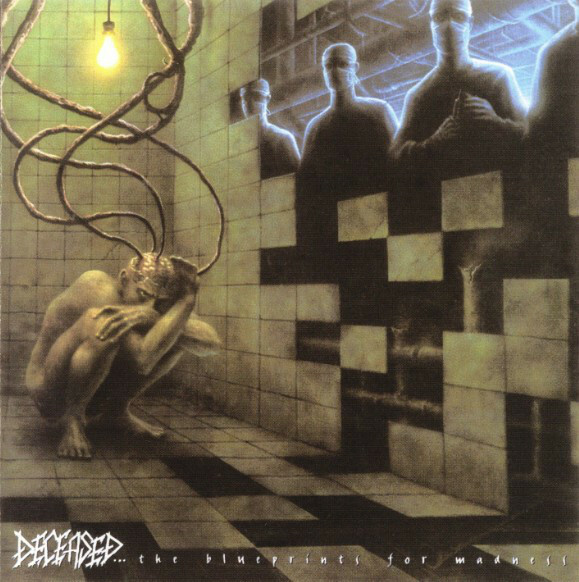 Wasting no time, Deceased unleashed their third LP just two years after the previous. Many fans consider this the album where Deceased settled into their signature sound. Lead guitar melodies were emphasized more so on this album, meshing flawlessly with their already established death/thrash sound. The production is professional and on point. Furthermore, the band committed fully to their horror themed lyrics by making this a concept album about zombies. King’s story telling ability is on vibrant display, even going as far as narrating parts rather than yelling/screaming the whole thing. This record is quite lengthy, clocking in at 68 minutes. But there’s plenty of gold to be found, and the songs are diverse enough that it doesn’t drag on. The track “Graphic Repulsion” right in the middle is some of their finest work! At the turn of the millennium, Deceased put out their fourth record. As with each Deceased record, there are signs of maturity over the previous release. The most important, in this case, is the overall length. Clocking in a whole 20 minutes shorter than “Fearless Undead Machines,” I personally feel they executed this album in flawless fashion. There are some big melodic hooks here (“The Premonition” and “The Hanging Soldier” will be in your head for days), but they don’t sacrifice the speed or intensity that has always been the foundation of their sound. King once again knocks it out of the park with his horror themed lyrics, and instead of a concept album, each song is based off a different film or piece of literature. Fans were treated to this EP just a year after “Supernatural Addiction.” This is no throwaway release either – with 7 tracks clocking in at 27 minutes, it’s a worthwhile release and features some absolute bangers. In addition to four cover songs, there are three original Deceased tunes that are just as strong as any of their LP material. The highlight is perhaps the final track, a 10 minute, five part epic about the West Memphis Three, a group of teenage murderers. This real life story is filled with Satanic themes and is perfect for a metal band like Deceased to write about. Change was on the horizon for Deceased in the new millennium. King Fowley suffered a stroke which left him with nerve damage that affected his drumming. Dave Castillo, who was in October 31 with King, took over as a studio drummer (with Eric Mayes handling live drums). 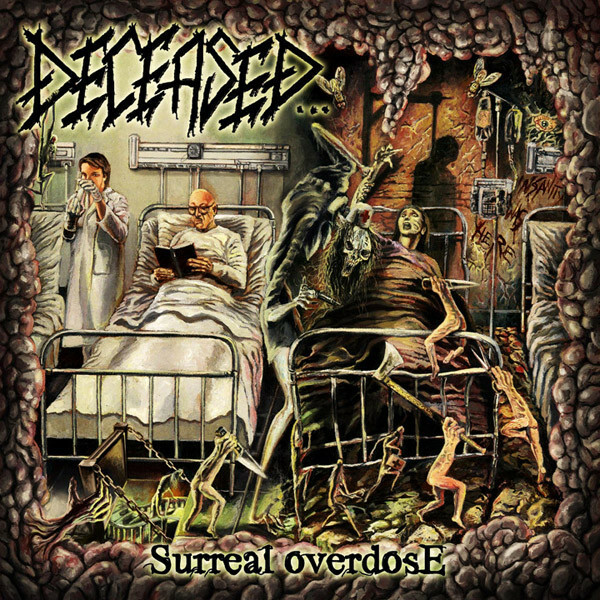 Despite this major change, Deceased’s fifth album is yet another classic banger. This was actually the first Deceased record I heard, as it was fairly new at the time, and I was instantly impressed with their ability to write heavy metal hooks within death metal songs. King wrote all the drum parts, and it certainly feels like the logical step after “Supernatural Addiction.” The songwriting here is spectacular, with a few tracks running around the 8 minute mark that never become boring or dull. Perhaps due to only performing vocals, some of the hooks are in King’s vocal deliveries (see “The Funeral Parlour’s Secret”). This was also Deceased’s first album to not be released by Relapse, but luckily the production didn’t suffer any setbacks with this move. 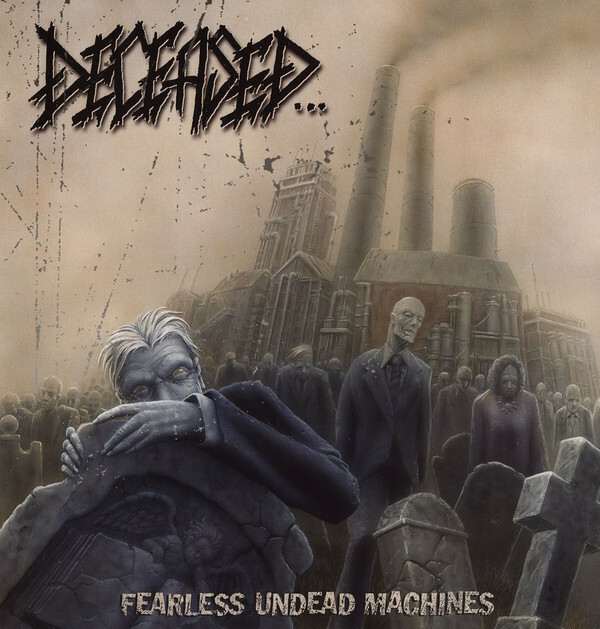 More big changes arrived for Deceased with the release of their sixth album. Original guitarist Mark Adams decided to step down from the band, and his fellow axeman Mike Smith stepped down from playing live shows (but still was involved in songwriting and recording). However, King made his return behind the drum kit for this record (which currently stands as his last release where he played drums). Voivod inspired riffs dominate this record, which worked well with the science fiction themes within the lyrics. New guitarist Shane Fuegel may have injected some new life into Deceased, as this record is fresh but true to everything Deceased stands for. They also released this album independently, which is kind of a surprising move for a band of their status, but nothing seems to stop Deceased. 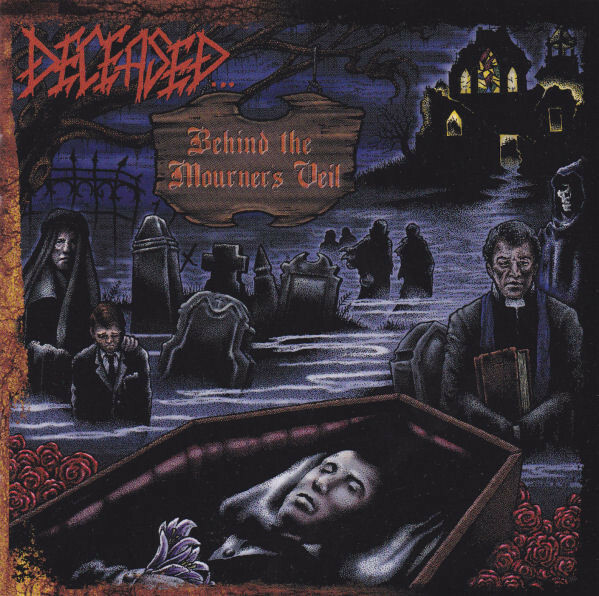 After seven long years, Deceased finally dropped their seventh album (after years of talking about it) on Hell’s Headbangers. Here we have another 8 song affair, this time a little longer than the previous two albums – one of the tracks exceeds 13 minutes, which is their longest song yet. Of course, there’s nothing to worry about here, as Deceased flawlessly performs their brand of horror filled metal like you’d expect them too. This album is still growing on me but it has managed to keep me coming back. The Voivod influence seems to be dialed back from the last LP in favour of more heavy metal melodies. King also gave the drum throne back to Dave Castillo for this record – unfortunately, Dave passed away just prior to the official release date. So crank this record in remembrance of a killer drummer. It is truly impressive that a band with career spanning over three decades still manages to stay true to their sound with new releases. I didn’t want to break down all of Deceased’s demos, nor do I really want to go over all their compilations that put together various demo releases of theirs. However, this 2xCD demo compilation is worth mentioning. The first disc contains the unreleased “Luck of the Corpse” demo which is pretty poor quality, but in contrast has the amazing “Nuclear Exorcist” demo alongside a live set in Washington, DC from ’89. The “Nuclear Excorcist” demo alone is worth hunting down. Disc two contains the “Birth by Radiation” demo (which is pretty good), their debut demo “Evil Side of Religion”, plus two rehearsal tapes from ’84 & ’85. There’s some real history on this compilation. If you are on the hunt for Deceased demos, this is one of the better compilations of that material. Ever heard of a compilation of compilations? Because that’s what this 2xCD set is. 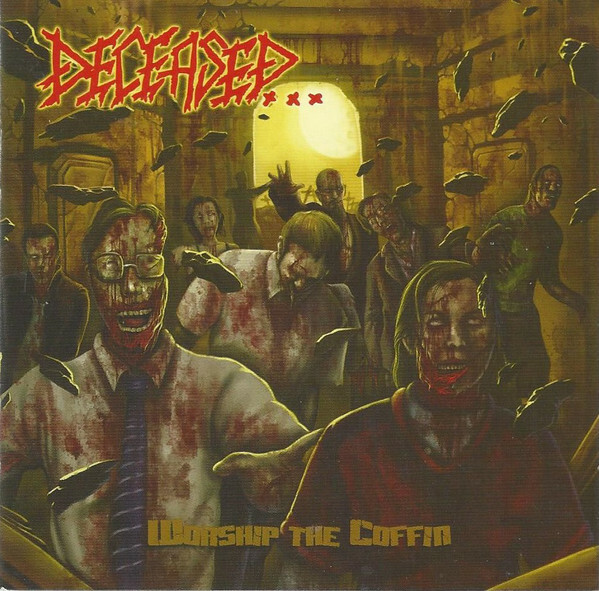 In the early 2000s, Deceased released two different cover compilations – Zombie Hymns (2002) and Rotten to the Core (2004). 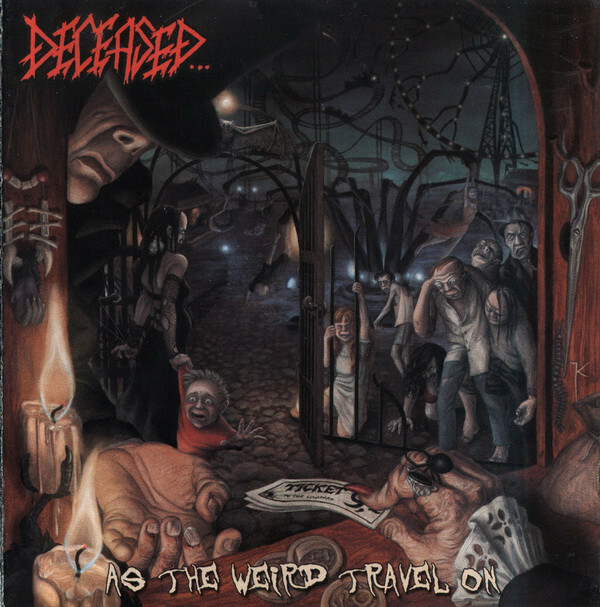 The former is comprised of metal covers, and the latter is punk covers, giving fans an opportunity to see the wide array of influences that have made Deceased such a unique band throughout their long career. There’s also an additional 17 tracks that were previously unreleased. From Iron Maiden, to Venom, to Cro-Mags, to DRI, and everything in between, Deceased crushes every performance on here. I hope this article inspires some folks to really sink their teeth into Deceased. They are an important cornerstone of underground metal that has stood the test of time, doing things on their own terms and never succumbing to any trends. I fully recommend listening to their full lengths in chronological order if you’re new to this band, as you’ll really get to see their musical evolution and maturity from release to release. Up the tombstones!